There are qualities we all yearn to experience in our lives - peace, simplicity, grace, connection, clarity. Yet these qualities evade us, because each of them arises from an experience of wholeness, and we live in a culture that enforces divisions within each of us. 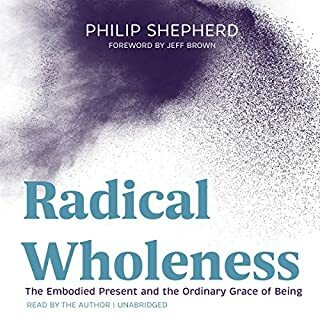 In Radical Wholeness, Philip Shepherd shows the countless ways in which we are persuaded to separate from the body and live in the head. Disconnected from the body's intelligence, we also disconnect from the wholeness of the present. Everything about this book was extraordinary! I enjoyed every minute of listening to Phillips’s voice. His care and concern for us and this subject is evident in all of the varied aspects of ‘voice’. And the message: That we’re thinking with a portion of our beings rather than thinking with our entire beings. And a great deal of research of several native peoples who possess more than ‘5’ senses and think from a place deep within their bodies. I’ll listen again. Philip included exercises and meditations for bringing our entire being into our thought processes, a gift I will always appreciate! 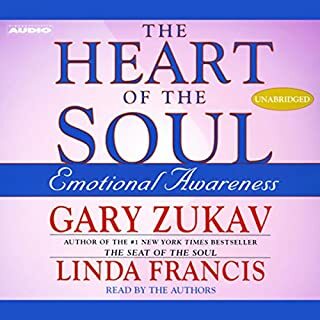 With the rare combination of profound psychological insight and deep spirituality that has already drawn millions of readers to his national best-sellers, including The Seat of the Soul, prizewinning author Gary Zukav now joins with his spiritual partner Linda Francis to help us develop a new emotional awareness that is central to our spiritual development. This book is creating Master’s of Emotional Dynamics! I just read the last page and I’m full of gratitude. I’ve been provided with a ton of ‘on the spot exercises’ to aid me in discovering and feeling, my emotions. Great on-going discussion about how our repressed, unknown, and unexplored emotions are impacting us, our relationships and our world. Many thanks to Gary Zukav, Linda Francis and their team. 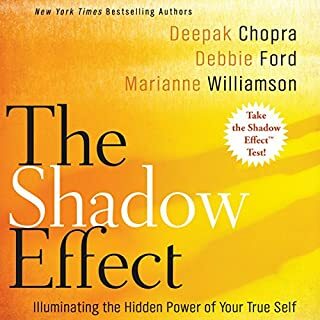 Deepak Chopra, Debbie Ford, and Marianne Williamson - New York Times best-selling authors and internationally acclaimed teachers - have joined together to share their knowledge on one of the most crucial obstacles to happiness we face: the shadow. These three luminaries, each with a signature approach, bring to light the parts of ourselves we deny but that still direct our life. Incredible arguments for becoming our true magnificent selves. All three authors helped me to see where I am stuck and how I can become unstuck. I'm very happy I chose it. Thanks to previous reviewers who helped me choose!